In an interesting turn of events in the Apple/Samsung patent trial, Samsung’s legal team is in some hot water this evening with Southern District Court Judge Lucy Koh. 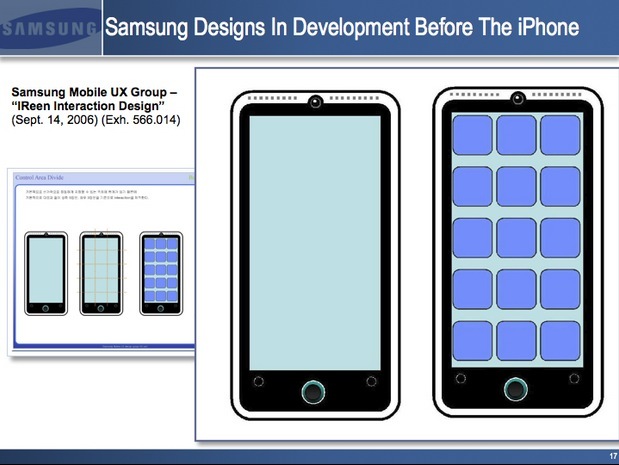 It’s all over the ‘Sony-style’ design mockups that Samsung has been harping on for the past week or so. See, there were some mockups created by Apple designer Shin Nishibori that were designed to demonstrate how Sony’s design sensibilities could be melded with Apple’s to create a phone. The design was said by Samsung to exemplify that Apple was working from another company’s designs in creating the iPhone, something Apple has accused Samsung itself of. But Apple whipped out a prototype predating Nishibori’s design that dated back to 2005, arguing that the Sony designs were just a riff on what it had done before. This negated Samsung’s point, at least in the eyes of Judge Koh. 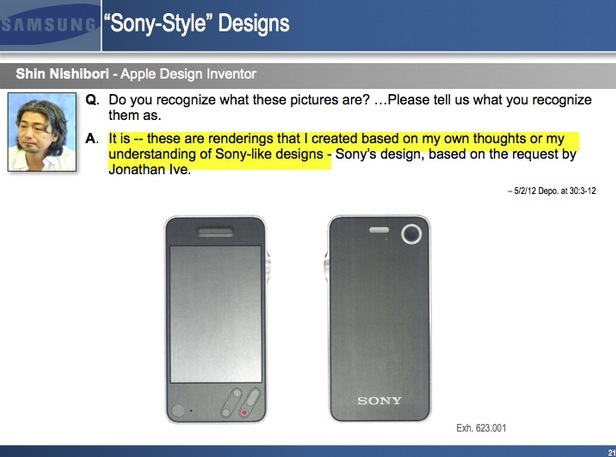 Koh ruled that Samsung could not present evidence related to these ‘Sony-style’ designs, or another prototype design that Samsung says it was working on in 2006. It very closely resembles the iPhone, as you can see in the image from All Things D, who posted the documents along with a statement from Samsung. None of these documents are anything new, as they’re all part of the court filings that both parties had made earlier in the week. But contextually, the point that Samsung was trying to make is clear: we were doing an ‘iPhone-style-phone’ before the ‘iPhone’. The statement references the F700 phone that Samsung announced in December of 2006, before the iPhone was released. That, along with the prototype above, says Samsung, should have been enough to prove that the company didn’t copy the iPhone. Not smart. This could have some repercussions for Samsung, who likely felt that getting this information out was worth the ramifications. But Koh could very well drop the hammer. And this is just Day 1 folks, tomorrow Apple VP Phil Schiller takes the stand for questioning.